Carmen had a lot going on in her family at the moment. She was handling it the best way she knew how, but it was time to call in reinforcements. It was time to call a club meeting. They called themselves the Counsel Council after all, and counsel is exactly what she needed. 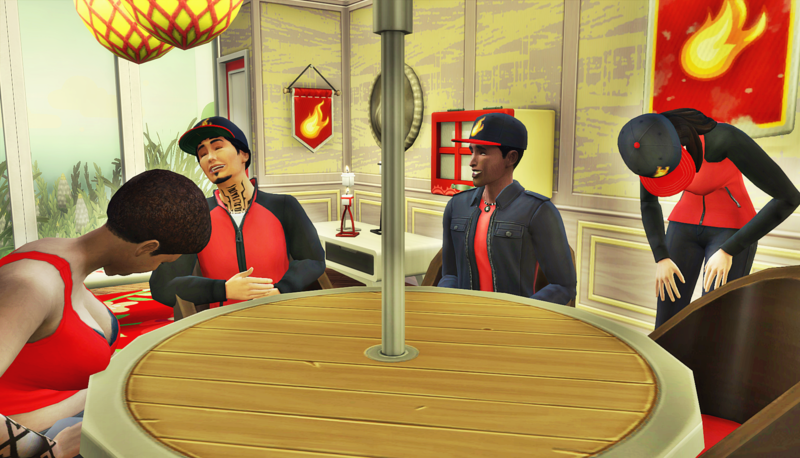 The club agreed to meet at the flea market, and chat while they checked out the items for sale. Carmen and Laurel came dressed in their workout clothes because they were going to go jogging after. As soon as they arrived, it became clear that this was not the venue for a detailed discussion of Carmen’s private life. She pulled out her phone to call a cab to take everyone over to their club hangout. Luca was in the middle of some crazy story that she only caught the tail end of. The club was never sure how serious Luca was being when he told stories like this. 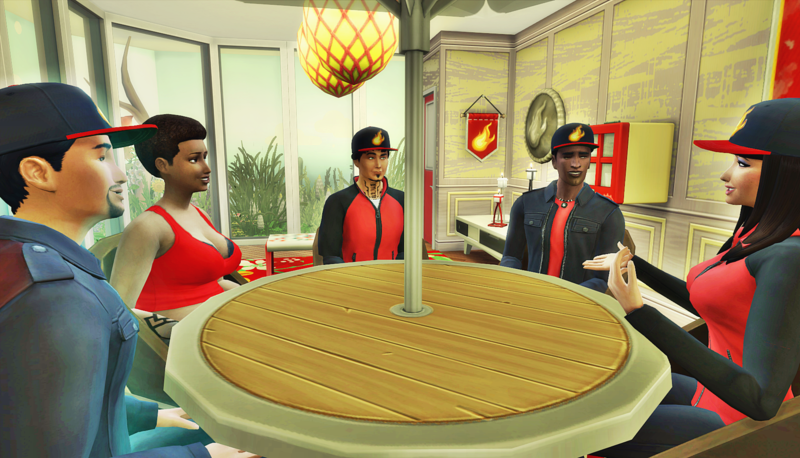 They knew he worked for an “Import/Export” business and a lot of it was connected to his father back in Veronaville, but they never asked too many questions. He’d never done anything in front of them or to them that made them consider he might actually engage in dangerous or criminal activity. They thought maybe he was just trying to maintain this idea of himself as a gangster type, but he really came off as a harmless tough guy. “Okay, well that gives me time to change into our regular club clothes,” said Laurel. “Doesn’t seem like a jog is happening any time soon. They arrived to their club hangout and headed straight downstairs. The child in Bo wanted to stop to bowl, but he wasn’t going to dare suggest it. The club had been there for him when he needed them after Heaven left. 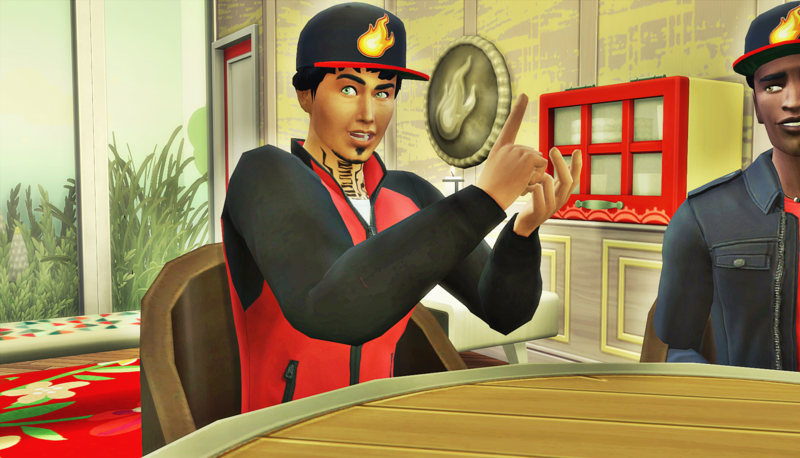 He didn’t know the whole story of what was going on with Carmen yet, but the gossip mill in their world had filled him in on some of it. Whatever the entire story included, he’d try and support his friend. Luca snorted, enjoying his reminder of how accidentally funny Bo could be. Those unexpected words of support from Luca helped to calm Carmen, and so she launched into her tale. She explained how she wasn’t so sure about the Laurel’s setup date at first, but gave him a chance. She ended up really falling for Hugo, and one thing led to another and then they had Rodrigo. Carmen chose to leave out the part of how Hugo ended up the father of his sister’s wife’s baby; she’d promised him she’d keep that secret. She shared her anger at learning her boyfriend had married another woman (a vampire no less!) and had a baby with her. She spoke of her humiliation when she found out she was pregnant again, this time with twins, while Hugo was still very much married. It was not a highlight of her life to admit her sons had a sister that fell in between them in age. Then she explained that she and Hugo had finally talked to each other about how they were each hopelessly in love with the other, but it wasn’t as simple as him choosing to leave his wife for her. Hugo was ready to have that fight with Imane’s entire coven if need be, but he needed to know what Carmen wanted before taking that step. “Finally! We get to really deal with these vampires now,” exclaimed Luca. “You know we can’t make this decision for you,” said Gavin. “I agree with that,” said Laurel. Luca cleared his throat loudly. They all couldn’t help but to laugh at the image of them sitting around a campfire like they were on holiday. This broke the tension and allowed them to calm down a bit. Carmen wasn’t sure to make of Luca’s insistence of having a plan to deal with the vampires, but she couldn’t worry about it right now. She wanted to hold on to this feeling that everything would work out somehow. 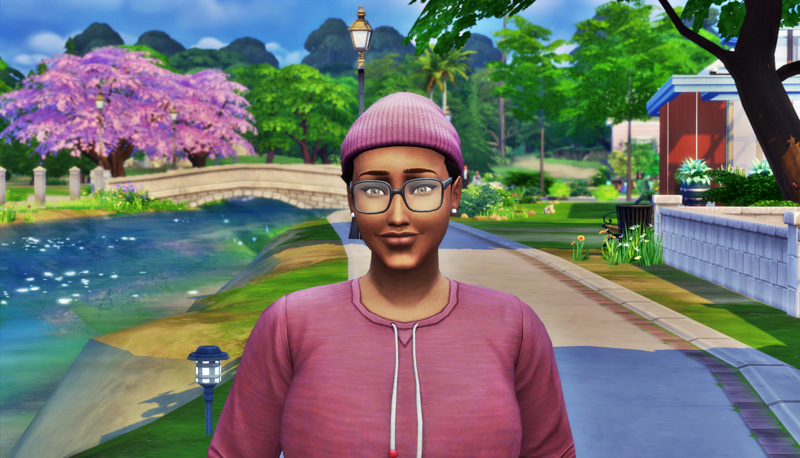 She headed home, changed back into her regular workout clothes, and went for an afternoon job. Some endorphins would be just the thing to keep her in good spirits while she reflected on the best way forward for herself and her family. 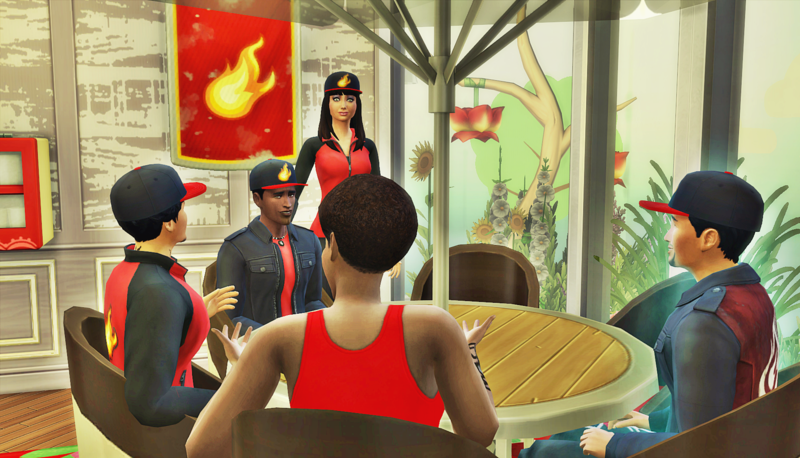 I loved the way each friend give advice…it reminds me of how..diferent, each of this sims are. ( In a good way!) Loved all Bo’s coments, forgot how interresting his way of talking can be! Even if this did not help Carmen make her decision, it at least helped to ease the tension a bit. 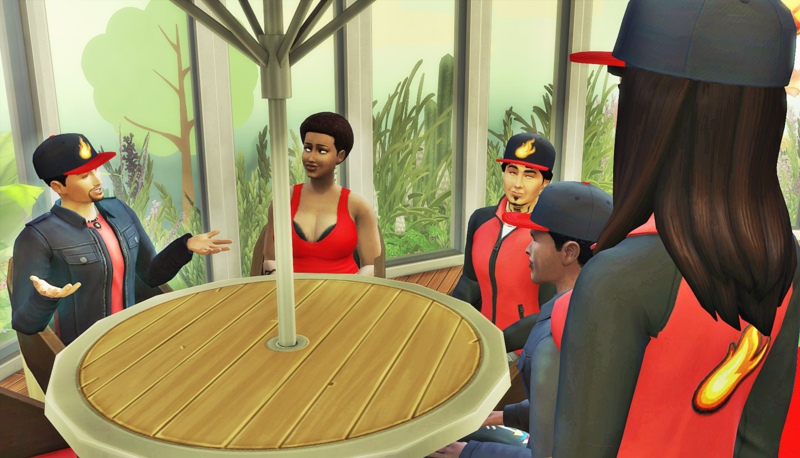 Carmen knew she’d get advice, but she also knew it’d be pointless to try to reach a consensus among 5 very different Sims. I love the variety in her friends’ responses to her, um, unconventional dilemma 😛 And Bo had me rolling at the start there, Ha! 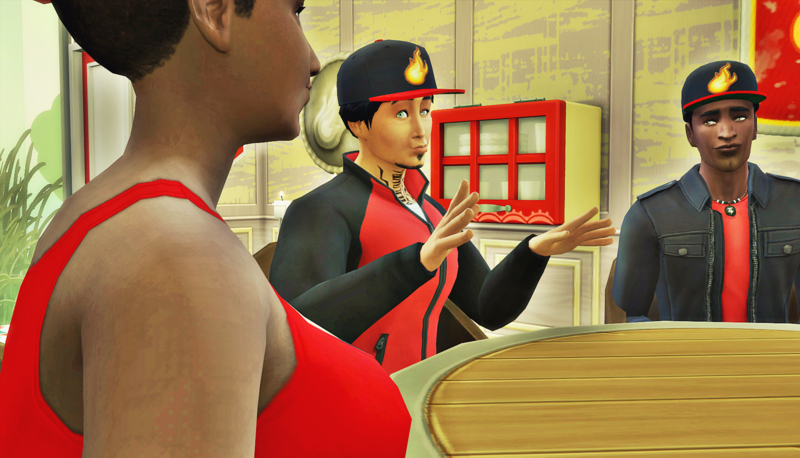 It was interesting to see how riled up Luca was getting about the whole situation… Interested to see what this “Plan B” might be. I had fun writing this chapter. I know what all of their opinions are, but they aren’t all as vocal about it as Luca. Haha….Luca and Bo…they win this round! I am glad she didn’t let any of them tell her what to do and just got opinions…. But at least they will be there for her. This group joined together on a whim, but they have really grown to be a good support system for each other. I know they’ll support whatever she decides. It’s time for Carmen and Hugo to have a surprise daughter. LMAO, what?! Oh no, God I hope they don’t get pregnant again. I am calling it now. They need a girl! No please no. NO more babies. Luca snorted, and so did Jes2G LOL. LOL, he did not disappoint me. I got several laughs off him. I have no idea what kind of advice I would give her. This is a pickle for sure. Man, I love the colors in this chapter ! Every shot with Luca’s fiery cap had a fire image behind him! And all that red! Then those soft peaceful colors at the end ! This was great ! Thanks! I enjoy having them gather in that room, and I’m glad it worked with the tone of the chapter.